Before going deep into MLM GENERATION PLAN having an idea about MLM SOFTWARE is necessity. MLM Software is the heart of any MLM Company and MLM Business. MLM Software is a software which manage all the business data of MLM Companies i.e. Direct seller’s personal information like name, age, gender, city, information of persons recruited by particular direct seller, their income, data of their team or downline members, levels achieved by them or member of their downline, details of shipment of products, pin management, etc. 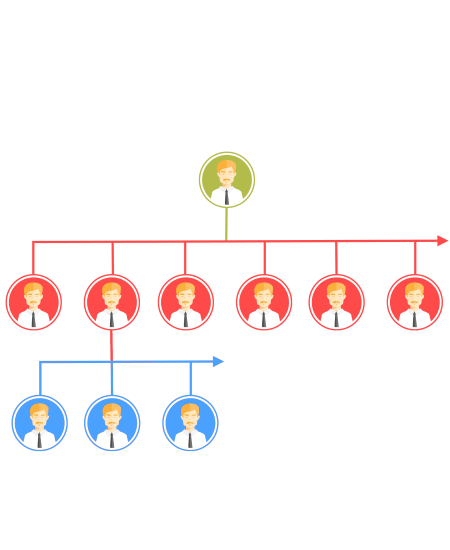 If you are not much aware about MLM SOFTWARE, we recommend you to refer our post on MLM SOFTWARE here. What is Generation Plan ? There are various MLM compensation plans available in MLM industry. Among all plans, generation plan have been considered important plan as it possesses an end number of attributes. That is why generation plan is preferred over other MLM compensation plans available in Industry by many successful direct selling companies. 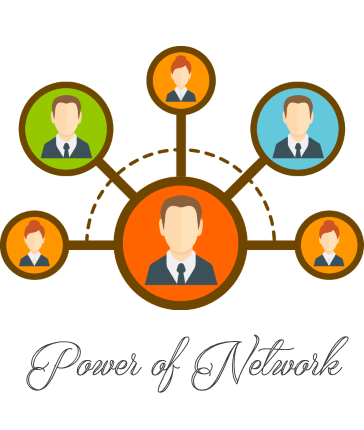 MLM Generation Plan is purely products selling MLM business plan, which holds more chances of success of a person promoting this plan if designed effectively. Generation Plan is best suited MLM plan for the company who is manufacturer of consumable products and wants to sale their products directly to the end users without investing much money in advertising products. Apparently, the competition is increasing in the market. Therefore the companies need to do advertisement of products through medium like television, news papers in order to survive in the competition. But The Generation Plan gives an opportunity to all these companies in which there is no need to expense for advertisements. The MLM Generation Plan is a concept which is based on profit sharing MLM business. The manufacturer share advertising expenses direct to their distributors when a distributor sale a product of the volume to be distributed towards up-lines, which is the reason, it’s called a Generation Plan. Generation compensation plans are hard to understand and explain, especially for the newcomer because of it different attributes. They function similar to unilevel pay plans, except instead of levels, you are paid on generations. A generation is all volume from you down to the next person in your downline who is the same or higher rank. The next generations are all volume from that person down to the next person your rank or higher, and so on. Let’s keep this simple and use an illustration. Let’s say there are 3 ranks: silver, gold, and platinum. Most people start out as silver. In our simplified example, you need to have 4 frontline distributors to qualify as gold. Every distributor who has sponsored 4 distributors is highlighted to stand out. How to Succeed in Generation Plan ? If you are considering generation compensation plan as a compensation plan of your MLM business, here are a couple of things to look for. First, look for a plan that pays on several generations of a particular pin level. The more, the better. Some plans pay 2 or 3 generations, while others pay 4 to 7, or even more. This will smooth out the breakaway. Secondly, look for a simple, easy to understand method of presenting the compensation plan. Most new promoters won’t be able to explain it clearly enough, and if they will confuse prospect, they will lose the sale for them and company as well. You can quickly see how powerful a generational compensation plan can be. You can be paid many levels deep – in this example it is 16 levels, although it is only 4 generations. Typically you are paid the most on your first generation, and then less for each subsequent generation. So while you might be paid 10% on your first generation, it may only be 6% on your second, 4% on your third, and 2% on your fourth. However, you can see that in this example you are paid on 127 distributors through 4 generations, but it would only be 43 distributors if it was through 6 levels. For people just starting out at the first rank, silver, a generational compensation plan typically pays less than a unilevel plan. Here’s why: Let’s assume that to be silver you must be on a 100 point auto ship order. Then you are paid 8% on your first generation, 4% on your second, 3% on your third, and 2% on your fourth. Well, since it’s easy to become silver, most people in your downline will be at least silver, so you will probably only be paid 4 levels deep anyway. A unilevel plan might pay on 6 levels. So in the beginning, you’ll probably make less. Once you advance to gold, you can start to see the great benefits of the pay plan as in the above picture. And on to platinum, well, then it can become very lucrative without having to build very wide. Probably the biggest weakness of a generational compensation plan is its complexity. This makes it difficult to explain to a prospect. Many people who are already promoting generation plan don’t even completely understand it. Therefore, presenting the plan to a prospect (especially if you are a new in promoting it) can be a very difficult task. Another problem is the just as in a stair step breakaway plan, there is a breakaway. Usually it is a much softer breakaway because it breaks away slowly, in small pieces. However, the plan often does not promote teamwork and working deep down into the plan. If someone in your downline gets a promotion, you might get a pay cut. If the plan is properly designed, this flaw is usually kept to a minimum. If you are planning to run successful MLM Company with Generation plan, a good MLM Software with finely designed MLM GENERATION COMPENSATION PLAN is a definite requirement. Being an experienced service provider in MLM INDUSTRY, we recommend that you should choose a product which you won’t have to purchase again and again. A product which can earn you more profit in bulk sales. From the list of products we provide, Online Education is one such product which, unlike other products, will give you more profit as number of sales will increase. So you and your distributors, both will earn more profits. In addition of that, we can provide MLM SOFTWARE as per your need of MLM GENERATION PLAN along with must have and high end features which guarantees flexible implementation of your neatly and nicely designed MLM GENERATION PLAN. Our product can provide maximum profit margin for your MLM Company.